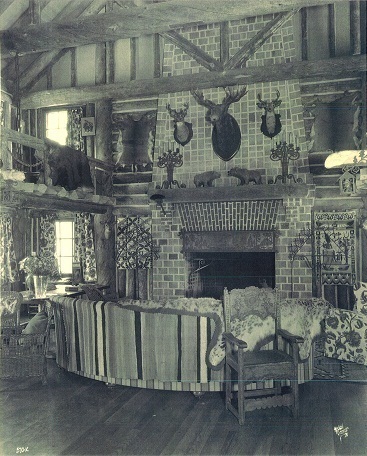 La Foret was originally the summer estate of Mrs. Alice Bemis Taylor. Mrs. Taylor and her husband Frederick Morgan Pike Taylor are considered to be one of Colorado Springs’ most important founding families. Their family had a rich history of philanthropy. Mrs. Taylor’s father, Judson Moss Bemis was a trustee of Colorado College and her mother helped start the Colorado Day Nursery for underprivileged children; together the family made many contributions to Colorado College. Alice Bemis Taylor was the first woman to serve as a trustee of Colorado College and was known as “Lady Bountiful” for her generous donations to the institution. Mrs. Taylor held great interest for art and architecture. She was one of three benefactresses of the Colorado Springs Fine Arts Center, perhaps her greatest contribution to the community. Mr. and Mrs. Taylor began construction of their summer estate, which she called La Foret, on what was then 500 acres in the Black Forest. 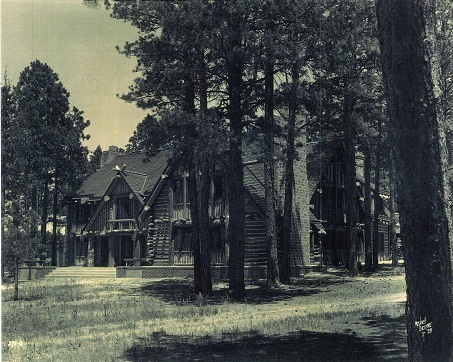 Ponderosa Lodge, the main residence, was constructed in 1928 by J.J.B. Benedict, a prominent Denver architect. 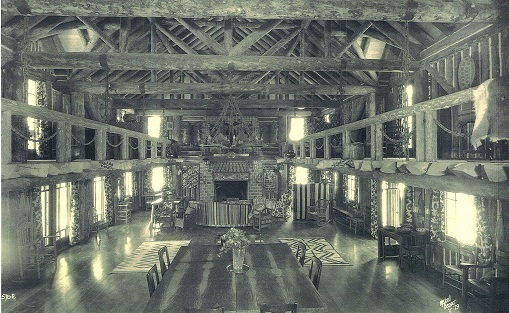 Mrs. Taylor resided there during the summers and often hosted artist-in-residence programs. The Taylor Memorial Chapel was built in 1929 as a memorial to her husband, who unfortunately passed away before ever visiting the property. The Chapel was designed by renowned architect John Gaw Meem, who also designed the Colorado Springs Fine Arts Center along with many other chapels and buildings throughout the southwest. After Mrs. Taylor’s death in 1942, the Bemis Taylor Foundation deeded La Foret to the Colorado Congregational Church, now known as the Rocky Mountain Conference of the United Church of Christ. Cabins were constructed and the church used La Foret for their outdoor ministries. Over the years La Foret has developed into a full-service conference and retreat center. Today, it operates as a non-profit organization serving a wide variety of clientele. La Foret Conference and Retreat Center is open to all children, youth, families, individuals, and churches of the United Church of Christ, as well as those of other denominations, and educational and non-profit organizations who seek to share in the experience of discovery, growth and transformation. We are commited to preserving the ambience of Mrs. Taylor’s original property while modernizing the facilities at the requests and needs of our guests. 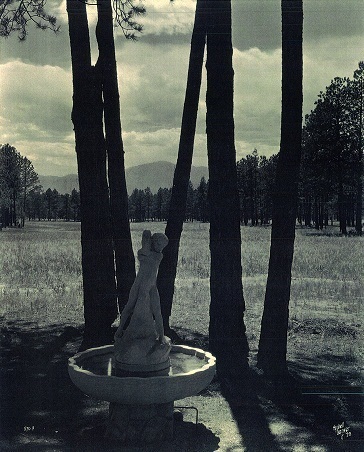 Help preserve La Foret's legacy by making a tax deductible donation today. ...and inspiring healthy and confident future generations. to learn more about camps and retreats offered at La Foret.